News: Releases, First Chapters, Trailers, Giveaways, Book Awards, and Blogs! I've been ill over the past week, and various bits of news have stacked up, so here they all are for you. Tahlia Newland has made the first chapter of her YA fantasy novel, Lethal Inheritance, on her blog. She needs help fast, but can she trust the quirky old guide who says he can teach her how to fine tune her mind into a powerful weapon? And what should she do about Nick, whose power is more than he or she can handle? From Tahlia's Blog. 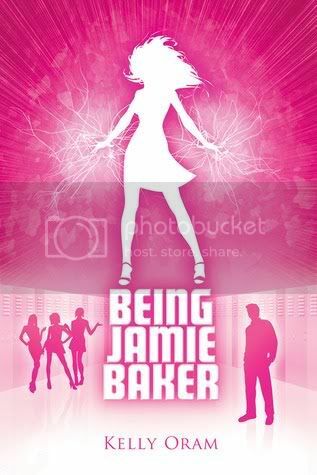 Kelly Oram, author of Being Jamie Baker will be giving away a signed book each week in the month of November. You can find out all the details here. To keep her secret safe Jamie socially exiles herself, earning the title of Rocklin High’s resident ice queen. But during a super-charged encounter with star quarterback Ryan Miller she literally kisses anonymity goodbye. Now the annoyingly irresistible Ryan will stop at nothing to melt the heart of the ice queen and find out what makes her so special. Unfortunately, Ryan is not the only person on to her secret. Will Jamie learn to contain her unstable powers before being discovered by the media, or turned into a government lab rat? More importantly, can she throw Ryan Miller off her trail before falling in love with him? From Kelly Oram's blog. Check out the trailer below, and read the first chapter here. Not all are YA novels, but there are the categories, so I've not left anyone out. 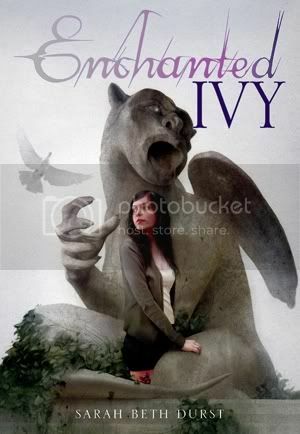 Sarah Beth Durst's latest novel, Enchanted Ivy, is now out! As a thank you to all of you who've stood by me when Penguin rejected UNBROKEN CONNECTION (Taken by Storm Book #2) and encouraged me to release it independently, I decided to blog CAYMAN SUMMER (Book #3) as I write it. I wouldn't even be writing this book without your loyalty and support. I want you with me every step of the journey. I plan to post my messy rough drafts, revised scenes, half-baked poems and polished chapters. You will be able to see my creative process from start to finish. I launched the blog FRIDAY, October 15th! Here's the link: http://caymansummer.blogspot.com/ Please stop in and take a look, become a follower, leave lots and lots of comments. And don't forget to feed the fish! The blog is set up so the archive goes from the cover (posted in September), to the next post and the next. I think it will make more sense and kind of simulate a book if you start with the cover post and work forward. If you haven't read UNBROKEN CONNECTION yet, don't worry. The blog isn't going anywhere. UNBROKEN CONNECTION is still just $2.99 via The Kindle Store and you can download free software for your computer or iTouch or phone from Amazon. So far the launch has gone great. I'd love to hear what you all think. I'm new to blogging--and you are all pros! I've still got to add pages for each book and links to my website. Any other tips? Thanks, too, for continuing to be there for me. I wouldn't be doing this without you. I've read the first few drafts myself, and they're brilliant! I highly recommend you check it out.